Antonio Conte has confirmed that John Terry may not play much in the remainder of the campaign. The Chelsea defender recently announced his exit from the club at the end of the season. This comes as a major news considering that Terry has been at the club for over two decades. He has also been the captain of Chelsea since 2004. It has always been difficult to replace a player like Terry in all these years, but age has been catching up with the former England captain in the last few years. He has played very little football in this current campaign. There appears no room for sentiment as Conte is not prepared to give the player a Wembley send-off by giving him a starting line-up position against Tottenham this weekend. Real Madrid are to make a £20m bid for Chelsea midfielder Ramires, the Express understands. The Spanish giants have been long time admirers of the Brazil international, and had an enquiry for the player rejected out of hand during the summer. Real boss Carlo Ancelotti took the 26 year to Stamford Bridge while he was in charge of the Blues, and is keen to add him to an already overcrowded batch of midfielders at the Bernabeu. Should the move take place, it may pave the way for Jose Mourinho to bring Xabi Alonso to the Bridge, with and Manchester United target Sami Khedira likely to be offloaded. Meanwhile, the Express also claim that the Blues will attempt to intercept Bayern Munich’s move for Borussia Dortmund striker Robert Lewandowski. With Demba Ba looking increasingly likely to move on in January, the club will be on the lookout for a new forward and Mourinho has reportedly identified Poland international Lewandowski as his top transfer target. The 25 year old looked certain to secure a move to the European Champions on a free transfer at the end of the season, but a fee as little as £7m could be enough to land him when the transfer window reopens. Gary Cahill has told The FA’s official website that he is looking forward to this evening’s crucial World Cup qualifier at Wembley, where England take on Poland. The Chelsea defender is in line to win his 21st full international cap this evening, and is set to come up against one of the hottest properties in European football – reported Blues transfer target Robert Lewandowski. Over the past six England games, Cahill has formed a solid partnership with Everton’s Phil Jagielka, keeping clean sheets against Ukraine and Moldova in that time. Another shut out tonight will give Roy Hodgson’s men the chance to grab the three points needed to guarantee their place at the final’s in Brazil next summer. If England fail to win, they will almost certainly have to go through the play-offs with second place Ukraine facing Group H whipping boys San Marino. Meanwhile, Kevin De Bruyne has insisted that he is not on the verge of moving away from Stamford Bridge, ESPN understands. The Belgium international has been linked with a return to the Bundesliga, where he enjoyed a successful stint last season, after being frozen out of Jose Mourinho’s first team following a poor performance against Swindon Town in the League Cup last month. Chelsea have been alerted to the news that Robert Lewandowski could be interested in securing a move to a club other than Bayern Munich when his contract expires next summer. The Poland international looked set to move to the European Champions at the end of last season, but decided to see his contract out at the Westfalenstadion. A host of other European clubs had registered an interest in the player, though it seemed he was only interested in moving to Dortmund’s great league rivals. However, according to reports in the Express, the striker’s agent has revealed that he has had contact with Napoli. The Serie A side, who are currently managed by former Blues interim manager Rafael Benitez, parted company with star striker Edinson Cavani in July, and would see Lewandowski as an ideal replacement, though they have also brought in Gonzalo Higuain and Jose Callejon. Jose Mourinho brought in Samuel Eto’o towards the end of the recent transfer window after failing to secure a deal for Manchester United’s Wayne Rooney, and would welcome the chance to further strengthen his attacking options. Lewandowski has scored four goals in five Bundesliga appearances so far this season, including a brace in Saturday’s 6-2 win over Hamburg. Comments Off on Chelsea eyeing Lewandowski move? Samuel Eto’o has ruled out a move to Chelsea by pledging his future to Anzhi Makhachkala, the Metro understands. 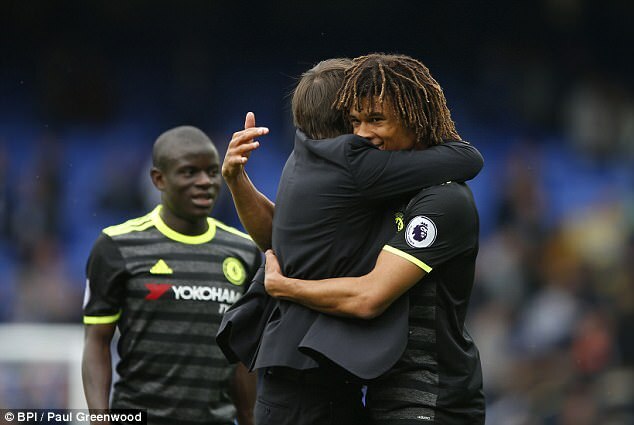 The Cameroon international linked with the switch to Stamford Bridge, where he would have been reunited with former boss Jose Mourinho, who he worked with to great success at Inter Milan during the 2009/10 season. The Blues boss had reportedly lined up Eto’o as an alternative option to Wayne Rooney, who looks set to stay at Manchester United. Nevertheless, the club are expected to line up a final, £40m move for the England international which, should that fail, would see Mourinho revive his interest in Borussia Dortmund forward Robert Lewandowski, according to the Mirror. The Polish international is in the final year of his contract at the Westfalenstadion, and is expected to move to Bayern Munich on a free transfer next summer though £40m is likely to be enough to persuade last season’s Bundesliga and Champions League runners up sell. Meanwhile, Colombian striker Radamel Falcao, who has also been linked with Chelsea, has denied that he is about to quit Monaco according to the Express. The 27 year old only moved to the Ligue 1 side three months ago, but was rumoured to be looking for a way out of his contract after proposals in Francois Hollande’s government to make footballers pay the top rate of tax. Chelsea are set to miss out on signing Edinson Cavani as the Napoli striker looking set to secure a move to Paris Saint Germain, according to the Express. The Uruguayan has been linked with a move to Stamford Bridge for some time, with Real Madrid also reportedly interested though the Ligue 1 Champions are set to trump both clubs with a £55m offer, which will activate the players released clause. They mega-rich club are also willing to offer the 26 year old £200,000 per week as they look to make an impression on next seasons Champions League. Elsewhere, the Express also claim that the Blues are also set to be disappointed in their pursuit of Borussia Dortmund forward Robert Lewandowski who, according to manager Jurgen Klopp, will move to Bundesliga rivals Bayern Munich next summer. The Metro understand that the Blues will now turn their attention to Aston Villa’s Christian Benteke, who scored nineteen goals in his debut season in England, while Liverpool’s Luis Suarez is also still on the clubs radar, according the Express. A move for Manchester United striker Wayne Rooney has also been mooted, though David Moyes has stressed that the England international is not for sale. Chelsea have held talks with Vitesse Arnhem midfielder Marco Van Ginkel regarding a move to Stamford Bridge, BBC Sport understands. The 20 year old has met Blues boss Jose Mourinho, and will now return to the Netherlands to discuss his future with the Eredivise side. Van Ginkel’s major concern is how many games he would play for Chelsea, with the World Cup in Brazil coming next summer. He has made just one appearance for the Dutch senior side, though he has twelve caps for the Netherlands under 21’s. Elsewhere, the Blues are expected to make an improved over for Norwich City goalkeeper John Ruddy, according to the Mail Online. The club saw a bid of £5million rejected last week, and the Canaries are believed to be holding out on a fee closer to the £10million mark for the England international. Meanwhile, AC Milan have insisted that striker Stephan El Shaarawy is not for sale, ESPN understands. Chelsea had been linked with a move for the Italy international, following an impressive second season at the San Siro. Napoli striker Edinson Cavani remains Chelsea’s top transfer target, while Manchester United’s Wayne Rooney and Robert Lewandowski of Borussia Dortmund are also on the clubs radar. The club made an offer last night, as they look to recruit back up for Petr Cech following the releases of Ross Turnbull and Hilario. Belgium international Thibaut Courtois has extended his stay at Atletico Madrid for a further season, leaving Cech as the only keeper in the first team squad. Ruddy, who won his first international cap for England in the friendly win over Italy last August, has been a stand performer for Norwich since signing from Everton in 2010. Meanwhile, the Blues will turn their attention to Borussia Dortmund striker Robert Lewandowski if they fail in their attempts to sign Edinson Cavani, according to the Mirror. The Uruguay international is the clubs top target this summer, though Real Madrid is reportedly his preferred option. Dortmund have shown that they are reluctant to sell Lewandowski, though with just a year remaining on the 24 year olds contract, a hefty bid could change well change their mind. Elsewhere, Valencia want to take midfielder Oriol Romeu on loan. The 21 year old made just a handful of appearances last season largely due to injury. Chelsea playmaker Juan Mata is adamant that he will be at Stamford Bridge next season, despite reports that returning manager Jose Mourinho could move him on. The Spanish international scored twenty goals in all competitions last season, leading to be named the clubs Player of the Year for the second season in succession; a feat only achieved by Blues legends Frank Lampard, Ray Wilkins and John Hollins. Mata, who has three years remaining on his contract, told Spanish newspaper Marca that the possibility of him being sold has not been mentioned to him, whilst insisting that he is happy at the club. Mata’s Spanish counterpart Fernando Torreshas also insisted that he wants to work with Mourinho, after being linked with a move to Barcelona. The 29 year old emerged as a shock target for the La Liga Champions last week, despite suffering a drop in form since securing a £50million move to Chelsea in January 2011. Meanwhile, the club look set to miss out on signing forward Robert Lewandowski, who looks set to remain at Borussia Dortmund for the final year of his contract. Both Manchester clubs have also been linked with the Polish international, who is likely to secure a free transfer to Bayern Munich next summer.